The birth process, even under natural and controlled conditions, is potentially traumatic. During the pushing stage of labor, the spine, particularly the neck, may be injured as the baby is compressed and pushed down the birth canal. As the baby is compressed, the small bones in the spine may be pushed out of their natural alignment. This causes the nerves to become stretched or twisted (commonly referred to as a nerve "pinch"), and the vital communication system is disrupted. This neurological disturbance is called a subluxation, and it may result in the failure of one or more parts of the body, as well as health in general. Subluxations can also foster the onset of sickness and disease as the body weakens. The Doctor of Chiropractic specializes in the detection and correction of subluxations. Instead of treating the symptoms of the disease, the chiropractor corrects the subluxation so that normal body functions may take place. A subluxation causes a neurological disturbance. All body functions are controlled by the brain sending and receiving messages over nerves. During a natural birth, newborns frequently suffer subluxations as they are pulled, twisted, and compressed. Damage may be more severe in a difficult delivery, as noted by Doris Haire, C.N.M., infants delivered with forceps may sustain skull fractures, intestinal hemorrhage, cord compression, brain damage, damage to the facial nerve, and facial paralysis. Damage to the spine and delicate nerve tissue is also common. Brewer and Presser report that the vertebrae are easily pulled out of alignment by excessive and forceful extension of the infant's head with forceps. Why check babies for subluxations? Complications of uncorrected subluxations may be serious, resulting in respiratory depression, and in some cases SIDS. Infants who survive and are properly diagnosed for subluxations have a better chance of having the neurological defects ultimately eliminated. Most authorities believe that brain stem and spinal injuries at birth are essentially attributable to excessive longitudinal traction, especially when force is combined with flexion and torsion of the spinal axis during delivery. Although birth subluxations may cause immediate symptoms, there may be far-reaching effects that are manifested for years. The child's ability to fight against disease, for example, may be lowered. Colds, ear infections, colic, and other illnesses may result. Subluxations may also interfere with internal organ function, resulting in the inability to produce chemicals responsible for raising and lowering body temperature as needed! Kunert indicated that the body's immune response in the production of anti-viral and anti-bacterial agents to fight infection is greatly compromised due to vertebral lesions (subluxations). When should your infant be checked for subluxations? 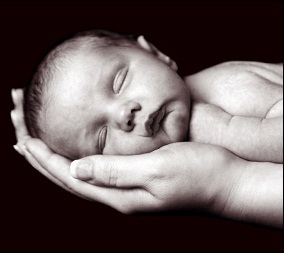 Newborn infants should be checked within hours after birth. Subluxations are a serious threat to your newborn's health. Your child should be checked frequently by a chiropractor to ensure the best opportunity to grow and develop normally. The chiropractic approach to health care is natural. It does not try to stimulate or inhibit normal body function. Instead, the chiropractor addresses the important relationship between the nervous system and disease. Various symptoms, such as colic, respiratory distress, fever, earaches, and a lowered resistance may be manifested in the young child due to abnormal body function caused by subluxation. In light of this, your chiropractor may be the best doctor to help your child improve his/her health.